Chocolate peanut butter at Brio Cafe. Ginger spice and and cream cheese at Brio Cafe. 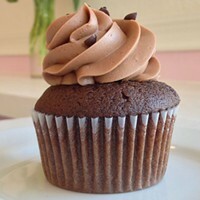 Chocolate chocolate chip at Mia Bella Cupcakes. Vanilla raspberry filled at Mia Bella Cupcakes. 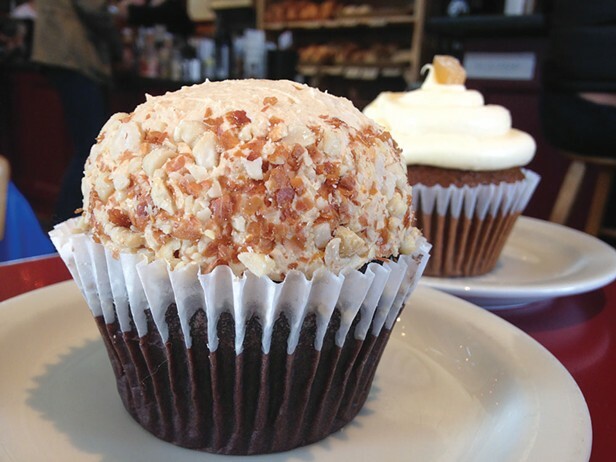 Carrot cake and mini chocolate coconut at Ramone’s. Gluten-free and vegan cupcakes at North Coast Co-Op. Humboldt Sweets’ chocolate caramel coconut cupcake. Chocolate lemon-poppy and red velvet at Cherry Blossom Bakery. Vanilla cupcake at Corner Café and Bake Shop.